even though physically, we may not be. You know what I mean don’t you? strike sorrow and fear into you? If we compared these disasters, what would we find they have in common? I never gave this question much thought until I heard Nate Berkus recount his experience of being swept away in a tsunami. In the water with him were telephone poles, barbed wire, parts of trees and people’s homes …. and people. All these things were swirling around him and beating his body, all the while he was fighting for his very life. Is that how you feel right now? your head above it all? Are sorrow and fear and loss threatening to engulf you? Do your circumstances feel like they are beating the life out of you? 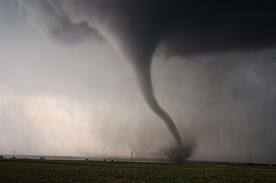 Your life is the tornado. Debris is flying everywhere and the mayhem of it all is causing you mass confusion. You are swirling around with this mess and there is no exit. This is not too much of a stretch, if you are like many of the people you know. The fact is, you may recognize some of those folks in the havoc, right along with you! Now push the pause button, and consider a different picture. The tornado is still there. The debris is still flying and the mayhem is still circling you. The difference is that YOU aren’t anywhere to be found in the mass confusion. YOU are firmly planted in the middle of the eye of that storm. 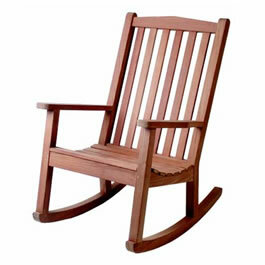 YOU are seated in a rocking chair. Firmly seated in a rocking chair, in the eye of the storm? The peace of your Father God is planted deeply in your heart. YOUR heart is full of the knowledge that He is aware and in total control. To be sure, there still may be sorrow and loss, but YOU do not have to live with fear. First off, I’ve had my fair share of living in fear. then you need not be afraid. I believe the word of God to be true. Notice I said “choose”. Being afraid is not a sin. What you do with it could be. The only thing you are to fear is God. That is a different fear. but a fear that is defined as being in awe of Him. Here’s the ask. For today. Use the following verses in your circumstances. Today. We can truly only do it for today. Choose to let God be in control of your chaos. Today. that would set your heart to fear. Today. This is not an easy task. The world we live in caters to fear. Its goal is to make us afraid. At any rate, giving your fear to God will get easier with practice. Note: Remember ~ Doctors practice. Lawyers practice. Athletes practice. Why do they do so? To get better at what they do. to sit and rest on your rocker, while God handles things. Psalm 34:9 (NIV) Fear the LORD; you his saints, for those who fear him lack nothing. Isaiah 41:10 (AMP) Fear not [there is nothing to fear], for I am with you; do not look around you in terror and be dismayed, for I am your God. I will strengthen and harden you to difficulties, yes, I will help you; yes, I will hold you up and retain you with My [victorious] right hand of rightness and justice.